I have a habit of over-packing and am no good at travelling light, but if I had to scale down what I packed for a weekend away there are a few things that I just wouldn’t want to leave out. As I found out recently when I went to my parents’ house and left my entire washbag on the bed, I don’t like being without my favourite skincare products, make-up and straighteners to tame my thick frizzy hair a bit. Writing that down makes me sound like a total diva but I promise I’m not. I reckon I’m a fairly ‘natural look’ kind of chick but I still have my beauty comfort blankets, and that particular episode led to a bit of a splurge in Boots and the local beauty salon for a few replacements. My hair is pretty unruly if left to its own devices and although I love the look of beach waves, to achieve that on my own hair would mean a bit more than just letting it dry naturally. As well as using a few products when its wet, I nearly always use straighteners on my hair after I’ve dried it to smooth it down. 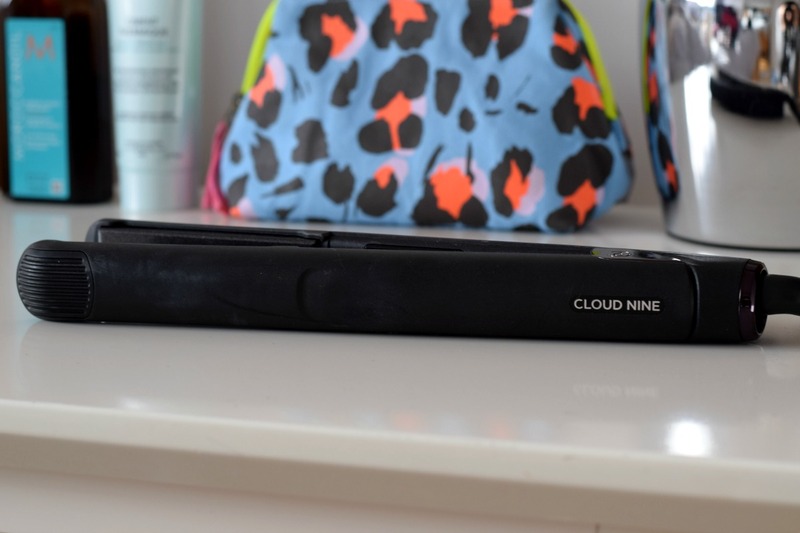 I’ve been using my trusty GHDs for years but the past few months I’ve started using another ceramic set from Cloud Nine. 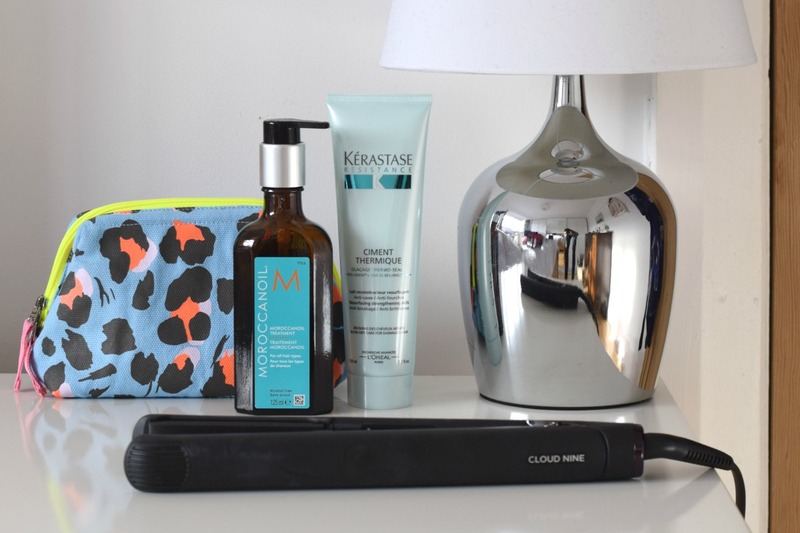 The brand is from the original founder of GHD, so you would be right to think you’d be getting a high-end product with lots of snazzy features that stay kind to your hair. The Original Iron has temperature control technology, which means you can style your locks without having to keep the irons on such a high heat that it damages your hair. You can choose between a low, medium or high heat and check the temperature on the controls on the inside of the irons. 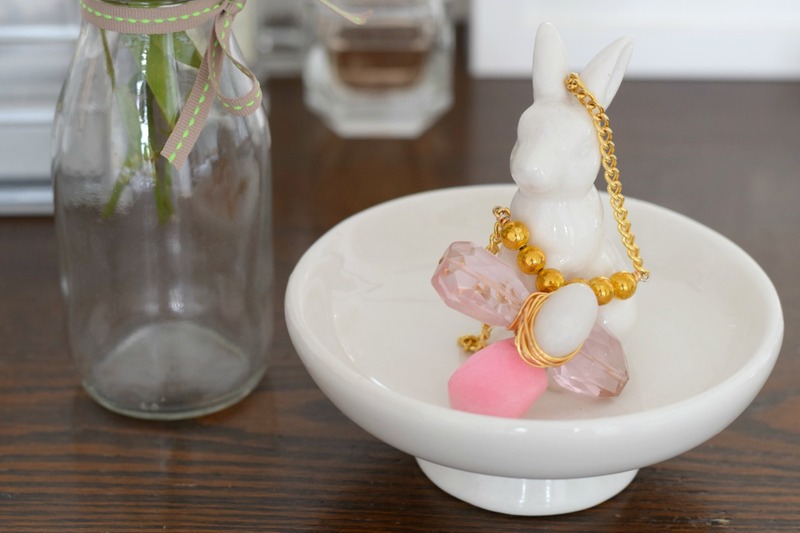 A brilliant feature for me is the hibernation mode. These irons switch themselves off after half an hour of inactivity, meaning you don’t need to stress about whether or not you turned them off before you left the house. I know I have done that a lot! I’ve tried straightening my hair with the Cloud Nine irons, and also attempted a bit of a wave with them too. Although I need practice, they are great for both and I’ve found the lower temperature perfect for when I want to wind my hair around them. It’s not only better for my hair, but I burn my fingers less too. As well as my straighteners I’m a huge fan of Moroccan Oil, and smooth a few drops onto my hair when I’ve just washed it. If you’ve never used a hair oil before I really recommend it, as it really absorbs into the hair and helps condition it longer term. I’ve used this on the kids too, and I know my sister uses it on her daughters’ long hair and it’s fab for stopping the knots. My other hair must-have is the Kerastase Cement Thermique Resurfacing Reinforcing Milk, which protects hair from heat damage from blow drying or styling. A bit like the Moroccan Oil, it works on your hair from within so you feel like it’s a treatment just as much as a styling aid. 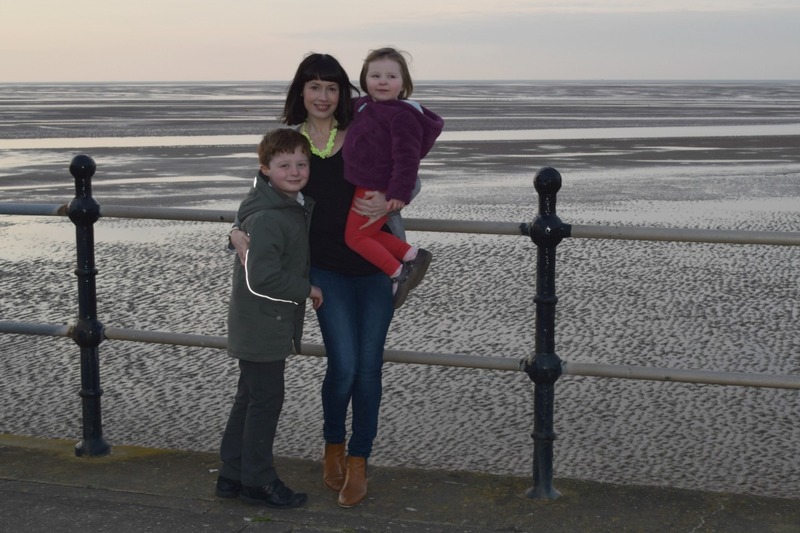 So there you have it, a few of my hair heroes and a bit of an insight into my terrible packing! 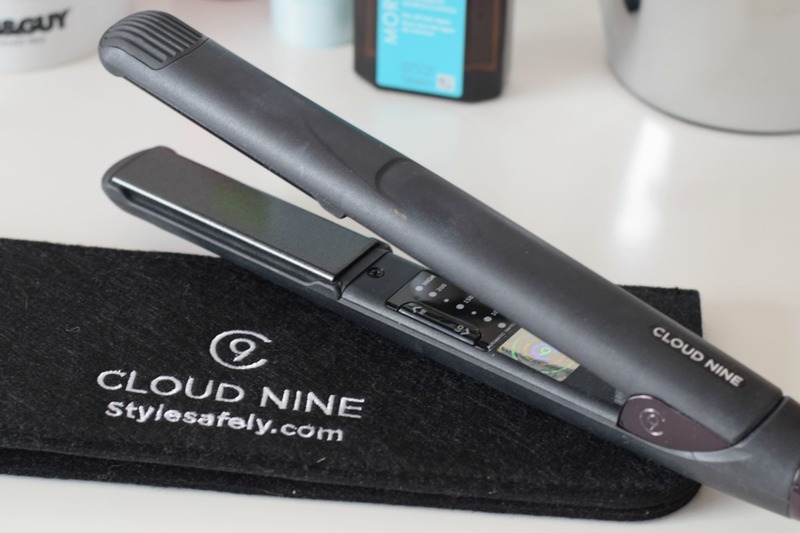 I was very kindly sent these straighteners from Cloud Nine for the purposes of the review, but as ever, all views are my own. They currently have an offer on their White Touch irons which means £10 of every sale goes to Great Ormond Street Hospital. What a wonderful charity to support. Eek I would have panicked if I’d left my washbag too!! These look great, my hair is calling out for something like this! !